I don’t know about you, but I am excited about Spring weather! No more snow and ice. We just want to get outside and enjoy the sun. The Spring temperatures are perfect around here. Not too hot. Not too cold. This means we have no excuse for not getting outside and having a bit of fun. Perhaps it’s because we live on a lake that this comes to mind first. But, if you are near a body of water, grab some poles, dig up some bait, and relax a bit with your hook in the water. It’s calming and ideal for absorbing a little vitamin D. Not to mention, it’s a great lesson in patience. You have been cooped up inside for too long, right?! 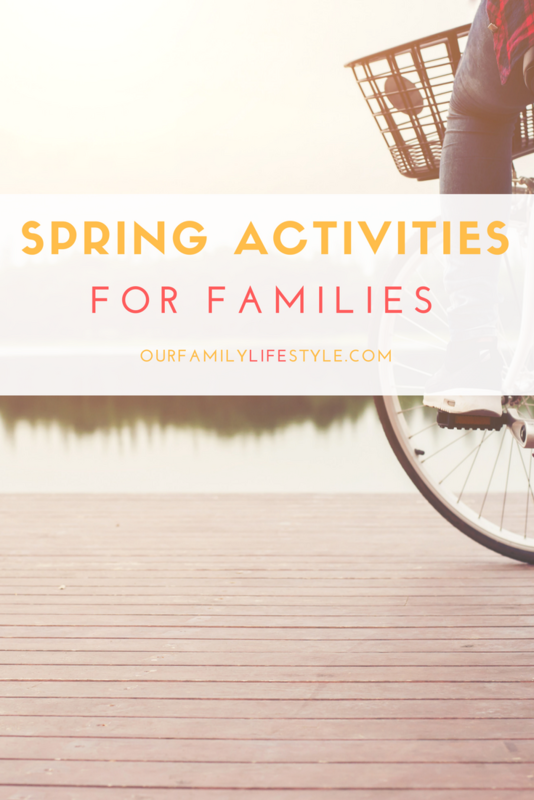 Grab a few items (you most likely have around the house already) and plan a family field day. There are tons of great outdoor field day games you can easily set up in your backyard! Better yet, invite the neighborhood families to compete for a larger event! Our teens love to do this! Simply download the free app and then you’re off. Search your town and nearby areas for hidden treasures. Be sure to take along your own geocache to leave behind for the next treasure seeker! “Let’s go fly a kite. Up to the highest height.” Are you singing along now? Grab a kite or make your own. Just get out there and catch some wind! The Spring weather offers you the opportunity to get back outside and into nature after the cold winter months. Therefore, head out on a Springtime Scavenger Hunt. The idea of teaching your kids sustainability and being able to eat the food you grow is such a valuable lesson! Not to mention, a family garden can be an amazing way to spend some quality time together. This requires no organized sports or structured play dates… just free, imaginative play. Grab some sidewalk chalk and head outside. Let your imagination soar. Be spontaneous or play sidewalk chalk games. Just have fun! The Spring time is ideal for picnics. Prepare a picnic basket with a fabulous lunch for everyone. Pack a bag with a frisbee, ball and gloves, just fun things to do. Head to a nearby park or big patch of grass and sit down on a blanket in the grass. Enjoy the time dining and playing with your family! Pitch a tent in the backyard and throw some sleeping bags in. Light a fire in a fire pit or grill and roast marshmallows for s’mores. There is no reason to travel far from home to enjoy sleeping under the stars. Another family favorite for us! Jump on your bikes and cycle through your neighborhood or a local trail. If you live near a sweet shop, perhaps you can cycle there and have a cold treat before pedaling back. The opportunities are really endless. The weather, in most areas, is not too cold, not too hot. Enjoy the mild temperatures and long days before the dog days of summer arrive!